Celebrate the new arrival! 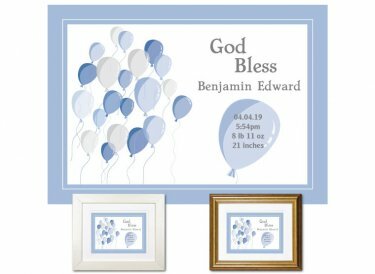 Welcome baby with this delightful personalized wall art - the perfect touch for the nursery. You'll add baby's name and birth stats (date, time, weight and length). Lovely gift idea! Original design. Hand finished using premium museum-quality materials. Also available in pink, violet, and green.